In the meantime, I had ordered the ASOS Cleo Leather Plain Long Pull On Boots which have gone down to £42 in the sale. Now these are a nice boot, but I have rather pencil-like ankles, which meant that these were just way too baggy in that area, and looked too welly-ish. They've been sent back. Shame. The other boots I'd mentioned, the Porto Riding Boots from Schuh, have also now gone in the sale, and are £59.99, with free standard delivery too. 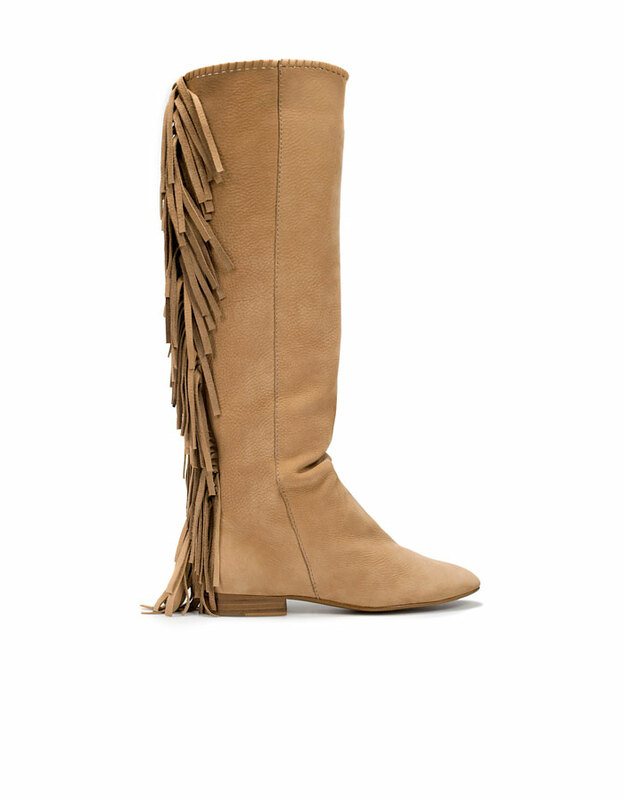 So, anyway, imagine my delight today when I found out that the Zara Flat Boot Sole XL are back in stock on their website. Placed the order with trembling hands and am now awaiting arrival. Marv. Now, I thought about these carefully. I love them, big time. But careful consideration of my day-to-day activities led me to the realisation that after a few days, I would be dragging round a matted mess of muddy, soggy tassels behind me, perhaps giving the impression that I had a small, dead animal attached to my heel. Not a great look. 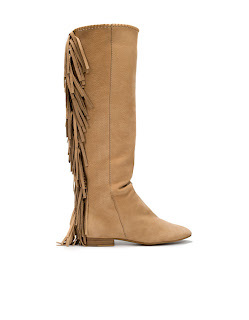 But if your other half is pre-disposed to Sir Walter Raleigh type behaviour, or you spend most of your days at red-carpet style bashes, hopping straight from car to bar, then these boots will be just cracking.